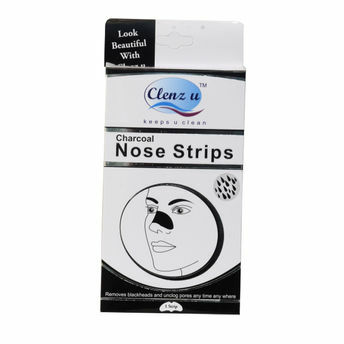 The Clenz u Deep Magnetic Charcoal Nose Strip targets the root of all skin problems and are specially designed to remove blackheads and to unclog, clogged pores. Infused with activated charcoal, this strip deeply cleanses and invigorates the pores, thereby leaving your skin feeling clean and fresh. Furthermore, it absorbs excess sebum and minimizes the appearance of pores. Explore the entire range of Masks & Peels available on Nykaa. Shop more Clenz u products here. Explore the entire range of Masks & Peels available on Nykaa. Shop more Clenz u products here.You can browse through the complete world of Clenz u Masks & Peels .Alternatively, you can also find many more products from the Clenz u Charcoal Nose Strips range.